With over 20 years of building business as LED Sign software developers, we have spent these years researching, evaluating and programming a wide variety of displays, including legacy and full color LED Signs. The Alpha 213C is an indoor LED Sign designed for retail, light industrial, commercial and office use. 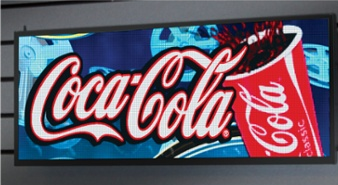 Engineered for indoor advertising and promotions, the Alpha I Series LED Sign will bring your messages to life. The Adaptive legacy continues with five new Alpha 4000 RGB Electronic Message Center models designed for office, industrial and commercial use.